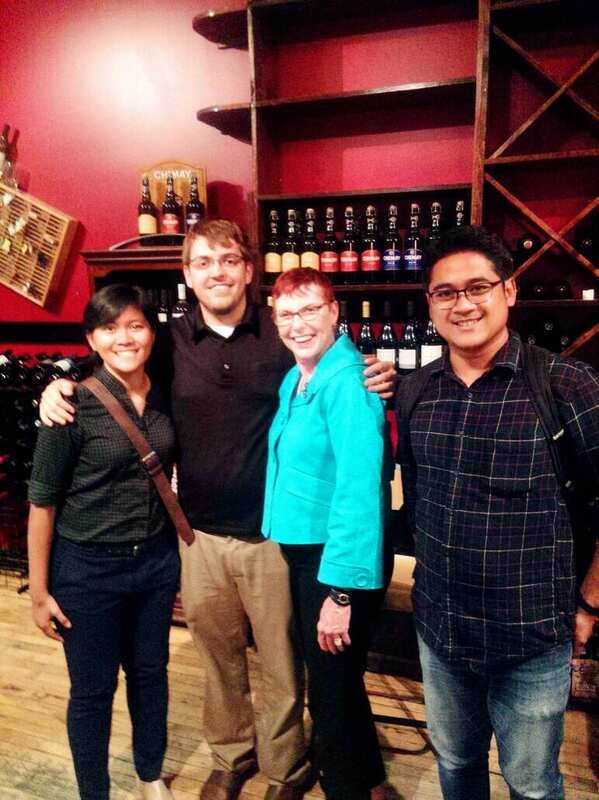 During the period of my one-month commitment with the International Summer Institute’s series of academic English programs, I had a wonderful experience attending an event to meet and greet one of Illinois’ state representatives. Together with colleagues, Yoes from Indonesia and Yi-Shu from Mainland China (PhD candidate in Statistics), we went to a wine store near the Jarvis CTA station, simply 15 minutes away from campus by train. The following post will comment on the organizer, activity, and my post-event reflection based on my field observation. “Meet and Greet with State Representative Kelly Cassidy,” a straightforward name for the event, was organized by Illinois’ state representative Kelly Cassidy herself and her team* to reach out and communicate with her constituents in the 7th legislative district. Representative Cassidy is one of the 71 Democrats in the State of Illinois’ House of Representatives, and this event was part of her efforts to encourage voters in the upcoming November 2014 election to consider the measures and constitutional amendments she has sponsored during her current term. The three things that she sponsored and mainly addressed in her informal speech during the event were health insurance, minimum wage increase, and tax increase for people with higher income to fund better education. Other than legislative updates, Rep. Cassidy also announced a few social activities, including a gardening competition, that were open to the public as part of her efforts to support local schools and her district’s green home initiative. Before Rep. Cassidy presented her speech, she mixed and mingled with all attendees. The three of us even shook hands with her and we conversed amicably. I found it very wonderful and amazing to be that close to a political figure. She was very passionate about reaching out to the people of her district to let them know what she is actually doing legislatively. After Rep. Cassidy finished her brief speech on legislative updates, and as more people were starting to taste free and fine wine, a Q&A session was opened. Attendees enthusiastically asked follow-up questions on the issues she raised, mainly concerning minimum wage and taxes. There was also an attendee who conveyed her appreciation for Rep. Cassidy’s achievement in passing a bill that will enable citizens with past criminal records to have equal rights in applying for jobs. Her voice sparked a huge round of applause from everyone present. From my brief explanation about the main activity of this meet-and-greet, it may seem obvious that I was and still am in awe of the event. I strongly believe Indonesia’s regional representatives should begin taking the same approach as what I experienced on that day. This concrete example of a state representative’s connecting with her people shows one of the effective ways for a politician to build up people’s trust and confidence in the person for whom they voted. 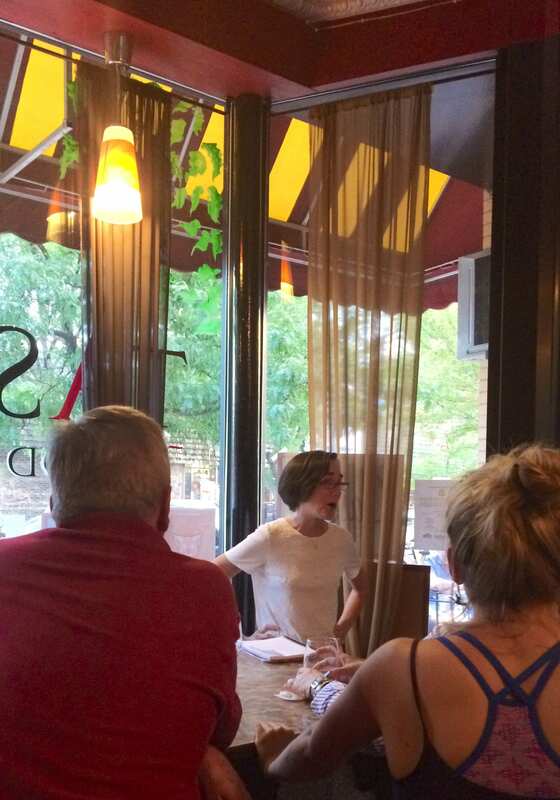 Kelly Cassidy giving updates to attendees in Taste Food and Wine at West Jarvis Ave.
*I wish to thank Rep. Cassidy’s Community Outreach Coordinator, Ms. Patricia Ewert, for inviting me to the event and for being such an inspiring community leader.